intelligence to drive smarter actions. How can you build trust with your customers? Empower sales leaders to see what’s happening and why in their deal portfolio, and make faster decisions on which opportunities to prioritise. Bring smart mobile data capture into your workflow. Increase revenue and reduce costs by streamlining existing systems and becoming truly digital. "We are now on the transformation journey to build augmented intelligence for our sales leaders, increase our win rates and optimise our SG&A investments with vyn for Salesforce"
Video-enabled structured data capture into enterprise systems, to enhance and replace manual / text form fields in just 60 seconds. Timely and rich data to drive higher compliance and productivity and save on costs as leaders gain better insight to act faster. Enterprise grade security, open API SaaS platform designed for any workflow integration e.g. CRM (Salesforce), FSM and people systems. Personalized, prompted workflows* to enhance data capture and encourage actions for better planning, timely interventions and a focus on next steps. AI-powered language processing, speech-to-text, video search and analyses delivering quantitative trends from qualitative data for richer, smarter business decisions. Transform the quality of data captured to simplify workflows and drive actions. 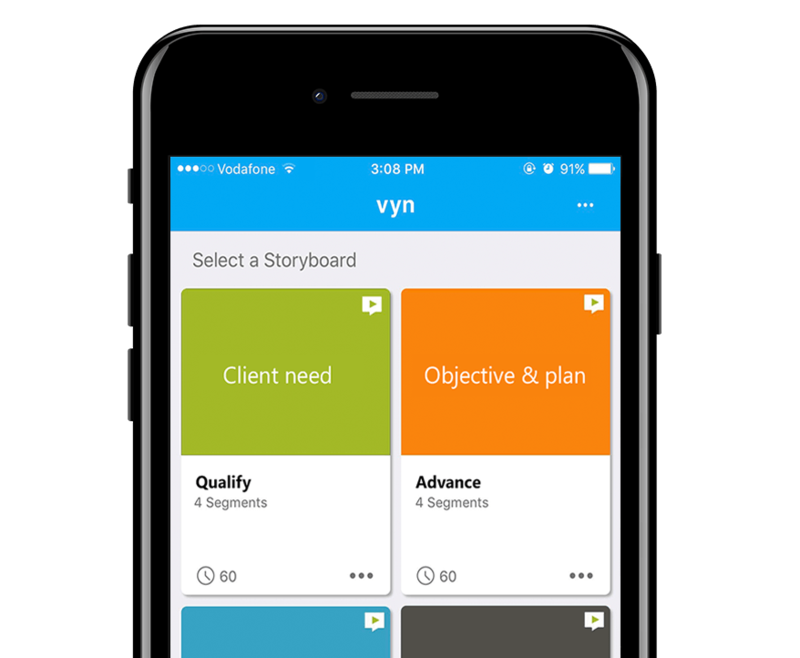 Bring your processes to life in a whole new way by quickly building intelligence from your field teams with vyn, so you see what’s happening and why. vyn captures SmartVideoNotes, on the go, by asking the right people the right questions at the right time - all in a minute or less. vyn SmartVideoNotes make it easy to capture high quality updates from the field, site visits or any client interaction directly into your workflow. You can also securely share them with a wider team. Accelerate data flow from your field teams to drive higher productivity and richer compliance. Ask the people who know best. © 2018 humanLearning Ltd. All rights reserved. vyn, SmartVideoNotes, and the logos are registered trademarks of humanLearning Ltd. The fantastic photo of surfer / developer Marco was taken by staffanrennermalm on Instagram.